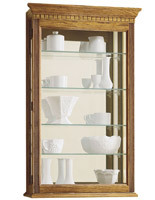 If you are looking for a unique wooden curio cabinet for countertop use with a handcrafted feel, look no further. 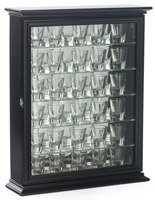 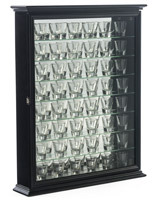 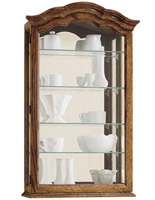 Our mirror backed display cases come with multiple shelves to showcase your favorite dinnerware and other collectibles. 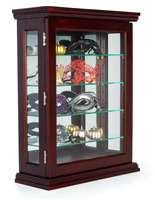 Included is a simple latch to keep the wooden door closed with a tight seal. 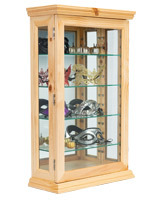 The curio cabinets come in different sizes, great for a variety of keepsakes. 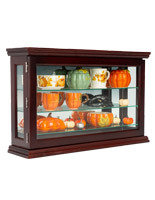 The countertop cabinets are made of real wood and come in different colors including, dark cherry, oak & espresso. 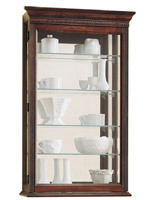 These affordable curio cabinets for counters will look amazing in any room in your home or commercial space. 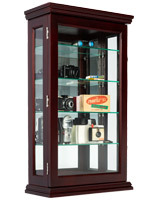 Also included is a z-bar for extra support for your solid wood display. 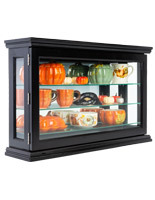 The tempered glass in each display will keep your family and friends safe with a harder, more durable glass. 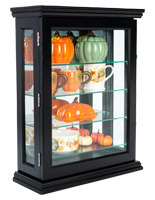 The tempered glass will also minimize injury if accidently broken. 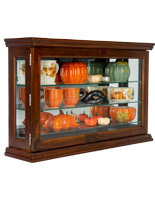 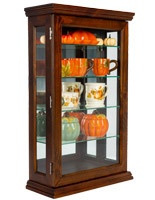 Find your favorite wooden curio cabinet to show off your collectibles today from Displays2go.